Need a break from the office? Want to meet other professionals in downtown Macon? Grab your lunch and join us outside! Can’t make lunch? Then finish your day at the office with an hour of play. Recent studies show that participating in relaxing, fun activities with other adults during the day can help boost creativity and focus during work hours—helping both you and your business. The exercise of being outside and playing games helps adults in the way that recess helps kids: it gives us the opportunity to experience a creative, relatively unstructured environment, which in turn helps us think about our work in more innovative ways, making great businesses even more successful. In addition to improving the work environment, getting together and socializing over a meal can also improve physical and mental health. The relaxed socializing of playing outdoor games fosters a healthy work-life balance and can help reduce the risk of chronic and mental illnesses. Downtown @PLAY sets the stage by making it easier to establish casual and professional relationships by increasing a sense of community and helping us experience the world outside our comfort zones. So grab a coworker, pick up some food, and enjoy the fresh air with us! 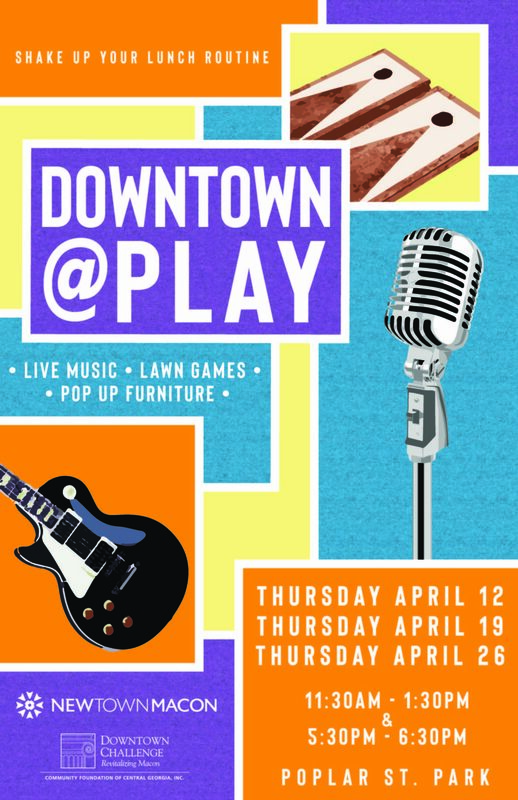 Downtown @PLAY is a free three-time pilot event in April where downtown employees and residents can get together in the Poplar Street Median Park to take a break and play outdoor games. It’s a great opportunity to treat yourself with takeout from downtown restaurants. From 11:30am-1:30pm and 5:30pm-6:30pm, join us for live music by local artists, outdoor games, and great company! 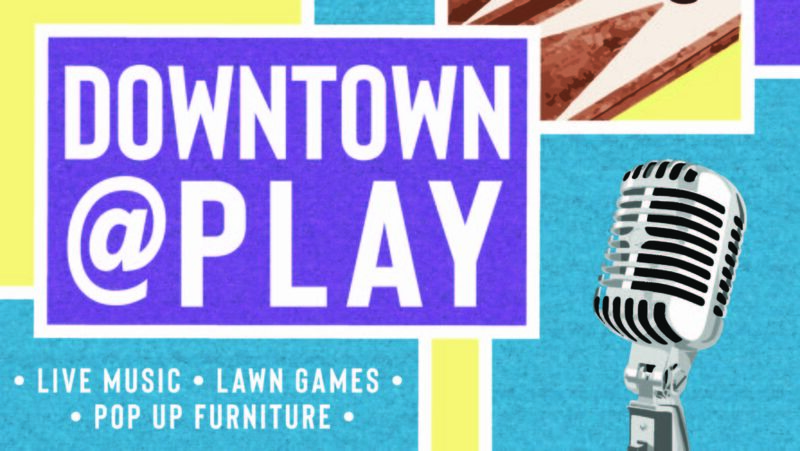 Be sure to check out Downtown @PLAY on Facebook for details and updates! Downtown @PLAY is brought to you by NewTown Macon and made possible by the Downtown Challenge Fund of the Community Foundation of Central Georgia.